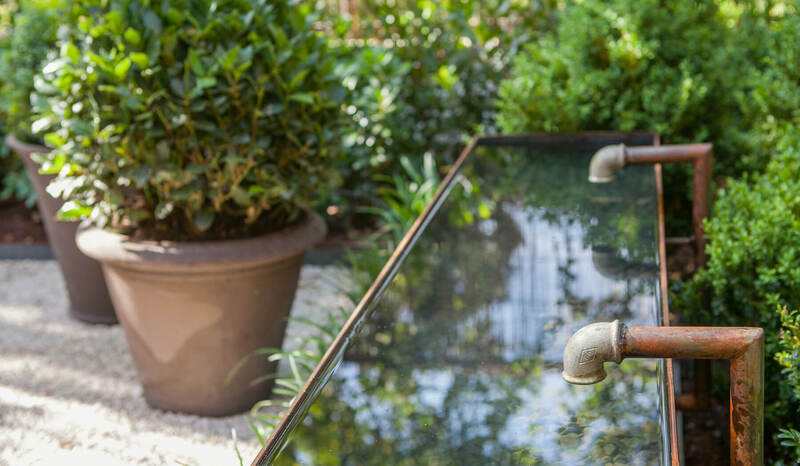 Green prevails in this small and orderly garden of barely seven square meters, in the shade of a light bamboo pergola that supports a Virginia creeper. This climber offers shade in the summer, turns vibrant red in autumn and sheds its leaves to allow the sun to shine through in winter. 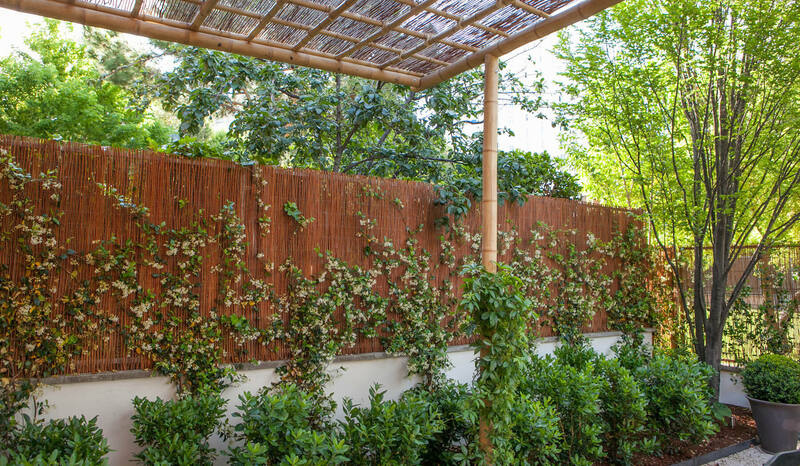 The intimacy of the space is assured by a wattle fence draped in Chinese jasmine (Trachelospermum jasminoides), which provides a backdrop for hedges and perennial shrubs. 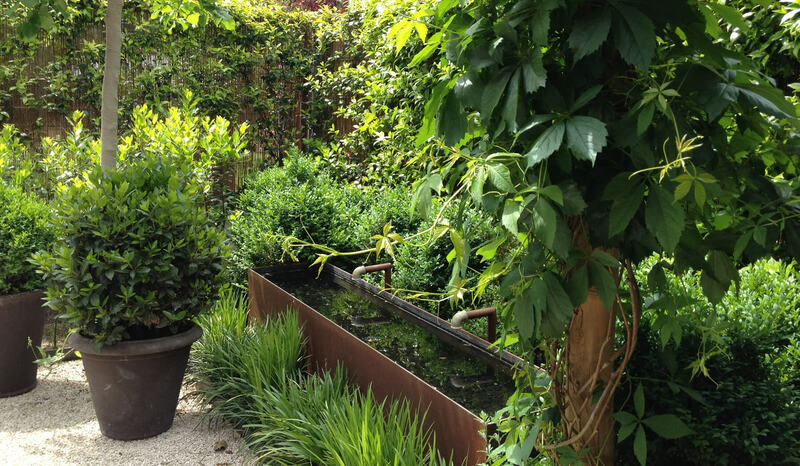 This greenness is reflected in the rectangular Corten steel pond, which is painted black on the inside to increase its reflectiveness. 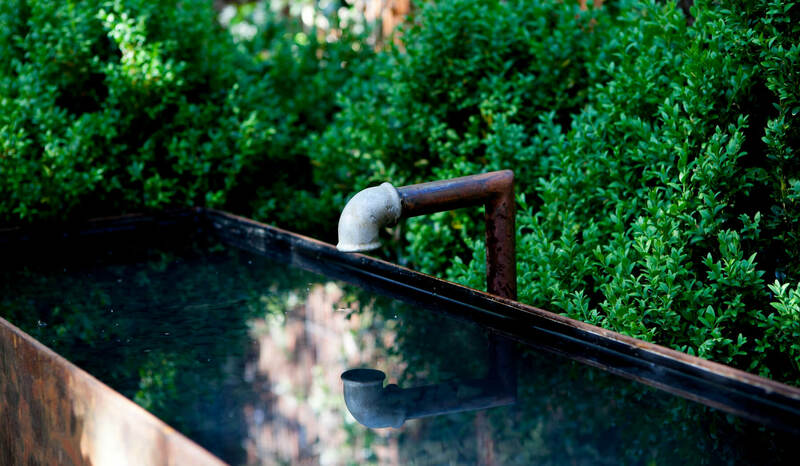 The water flows from industrial pipes, creating the perfect counterpoint. 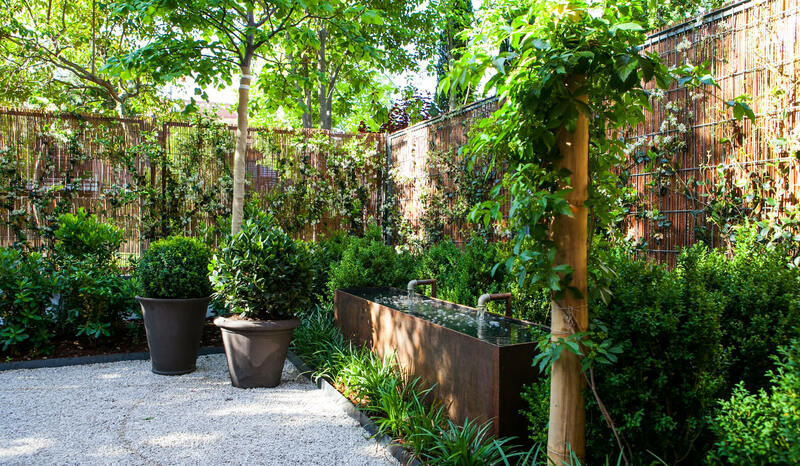 One corner of the fine, pressed white gravel pavement is occupied by two chocolate-colored terracotta flowerpots filled with globes of laurel and boxwood, thereby breaking the strict geometric layout.